This time of year can be expensive and overwhelming, but model mum Megan Gale and St Kilda Mums remind us that we’re actually very, very lucky, as they share the story of one of the many mums who are struggling with things we might all deem as basic. Melbourne not-for-profit St Kilda Mums collects, sorts and redistributes essential nursery equipment, clothing, books and toys to families in need, in partnership with existing social support agencies. Their absolutely vital efforts struck a chord with mum-of-two Megan, who spotted their post and quickly galvanised her huge audience, sharing the update and asking followers to pitch in, if they could. This week we were asked to help a young Mum due in January. She had been considering adoption as she has no support from the baby’s father or her own family. As her due date draws near, she has sought help from a social service to keep her baby. At this late stage in her pregnancy, and with little in the way of savings, she is not prepared to bring her baby home. She doesn’t know anyone who can pass on their pre-loved baby gear. She does not want to give up her baby but she cannot afford the cot, pram or car restraint, let alone clothing. It doesn’t need to come to this. You can help her bring her baby home. Can there be a better gift than providing a Mum with what she needs to keep her baby? She is one of 205 mums (and dads) on our wait list. 45 of them need a cot. 55 need a newborn reversible car seat. Their babies have already been born or are due by the end of January and they don’t have what they need to keep them safe. The most powerful way you can help now is with a financial gift. You can help us pay for spare parts, delivery of new cots in early January and courier fees. There is no time left before Christmas to collect, clean and safety check pre-loved things. Money is what we need right now. 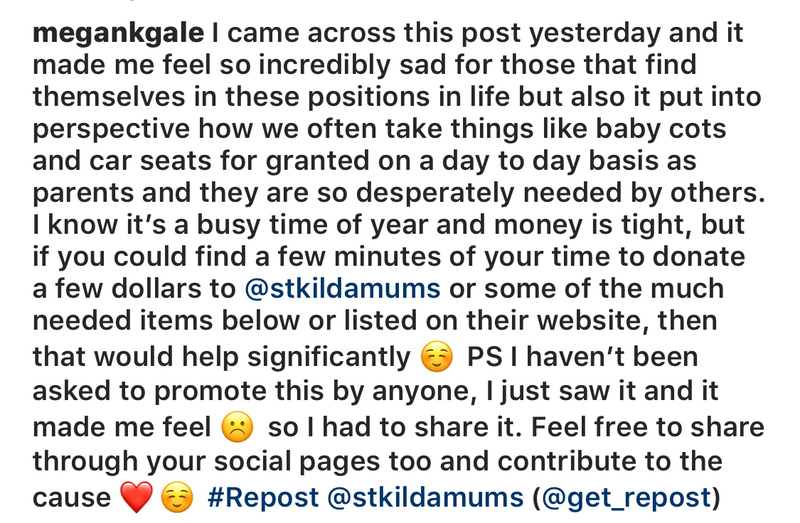 This post from St Kilda Mums is a timely reminder of just how fortunate many of us are, and also a confirmation that if everyone pitches in a little, it can make a big difference. Even $5 will contribute to another mum’s wellbeing and help her baby have the equipment every little person needs. 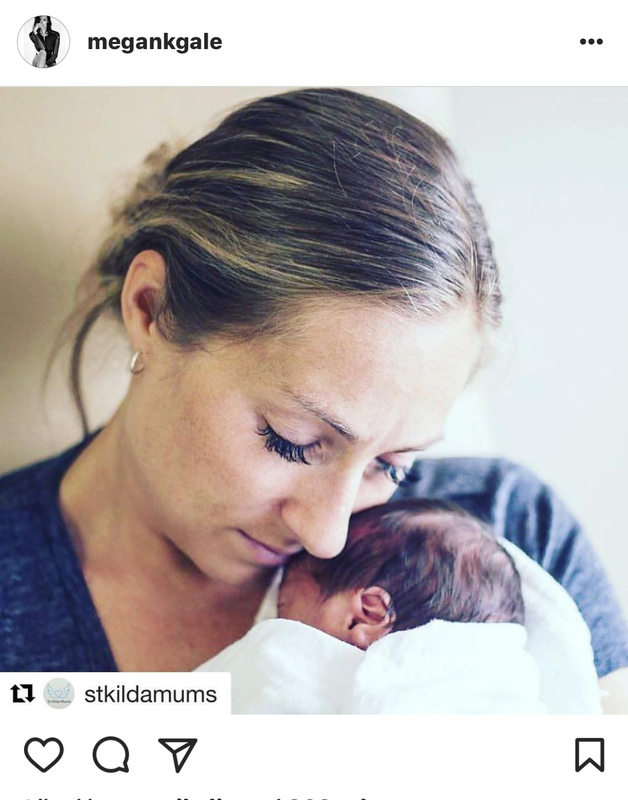 You can donate to St Kilda Mums here – and help mums in desperate need this Christmas – and beyond. Thank goodness for organisations like this one.